On Thursday, May 18, 2006, Ray Goudey, retired Lockheed Test Pilot, the man who flew the very first, and the very last flight, of the Jetstar prototype airplane, 25 years apart, revisited the airplane at the Museum of Flight's Restoration Center at Paine Field in Everett, Washington. He had been invited by Museum volunteer Jim Goodall, and was accompanied by his wife Jeri and son-in-law Doug. Ray showing his Jetstar Scrapbook to Jim Goodall, Museum SR-71 expert, along with wife Jeri. After 25 years, back in the "Driver's Seat" ! An especially happy reunion came for Ray when he got to sit on the cockpit of the Museum's Grumman F4F Wildcat, currently under-going restoration. Ray flew these airplanes during WW II. Talk about memories ! 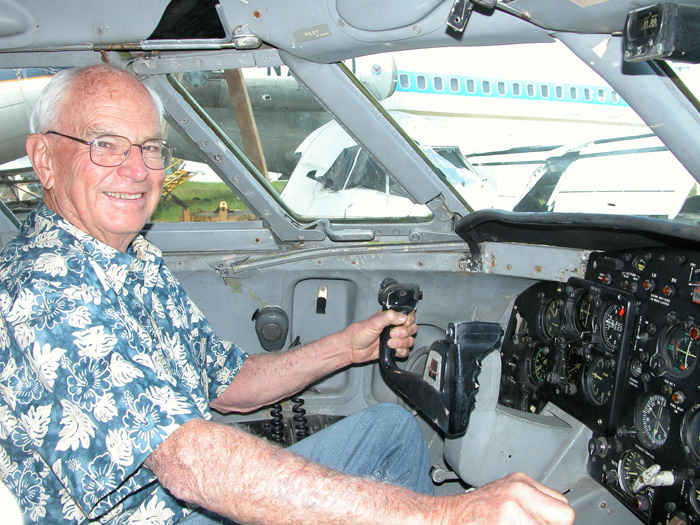 Sampling the 'competition', Ray tries out the Captain's seat of the Museum's Boeing 727 Prototype airplane - N7001U. And, yes,....that's me with Ray. What an honor ! 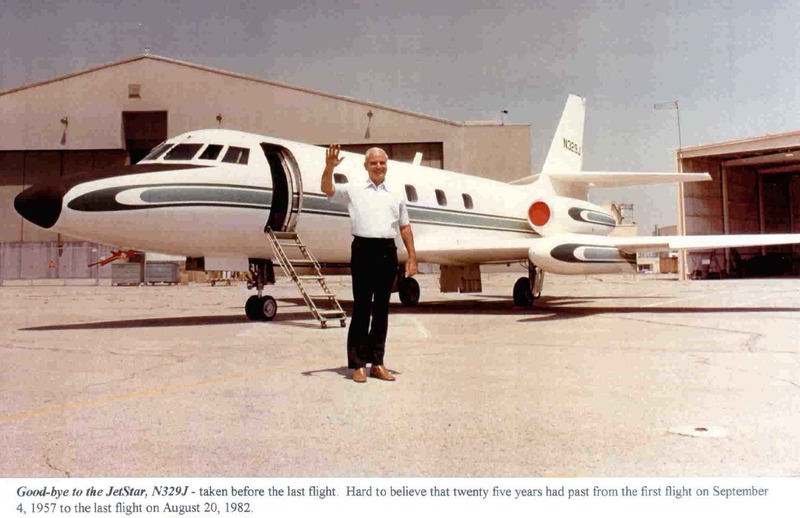 Ray loaned Jim Goodall his scrapbook, and with the information it contains, I hope to add many more details and photos to webpages covering both the Jetstar and Ray's great flying career. Thank You, Ray ! Copyright 2006 Robert A. Bogash. All Rights Reserved.